John Morgan standing on the right. Johnny Morgan, who joined Clydesdale Harriers in season 1936/37, was always easy to recognise because of his very small stature. He maybe had to look up to Harry Fenion. However his contribution was immense at a time when many such as Andy McMillan, James P Shields and David Bowman were also making big contributions. John was one of the most respected men in the club when I signed up in 1957. Like so many good club men of whatever outfit, he did some running but his main contribution to the club was as an official, an organiser and a coach – he was also the recognised club starter. The club records for the period 1936 – 1939 have him turning out in only six races. 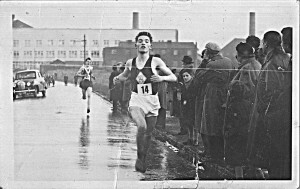 In October 1936 he was eleventh of eleven in the club Novice Championships, in October 1937 it was the same position (11th of 11), December 1937 he was twenty fourth of twenty four in the 5 Miles Handicap, on 25th December 1937 he was sixteenth of thirty in the Christmas Handicap, a year later he was fourteenth of 21 in the Christmas Handicap and in February 1939 he was sixteenth of twenty in the Seven Mile Handicap. After the war started he was tenth of fourteen in the 1940 Christmas Handicap and that was his last race until he went into the Army in 1942. What he was to do for the club and for athletics generally after the War cannot be over-estimated. His big contribution to the club and to the sport was as an administrator and official. He attended a few committee meetings in the 1930’s before he was elected as club secretary a mere three years after joining the club. This was not simply because no one else was capable of doing the job or wanted to do the job – it was because he was recognised as being a good administrator. Came the war and he was elected as secretary to the war time committee whose job was to keep the club in good order until the cessation of hostilities. He worked well in the job and only left the committee when his Army Service took him off to Burma. This service left him as already noted with malaria and he had to take quinine for the rest of his life. One story is that when he said he would have to go home to have some quinine, the others remarked that he meant “Queen Anne” which was a type of whisky. He was not only on the club committee but he was a member of the County Association and served on the Committee of the SAAA – the governing body of the sport in Scotland. He not only sat on the Committee of the Dunbartonshire AAA’s but was one of the pioneers of the organisation and the club representative in the setting up of the association. In addition to his committee work he did a lot of coaching and was the club’s official starter. He had two guns of his own and the ammunition was supplied by the club. 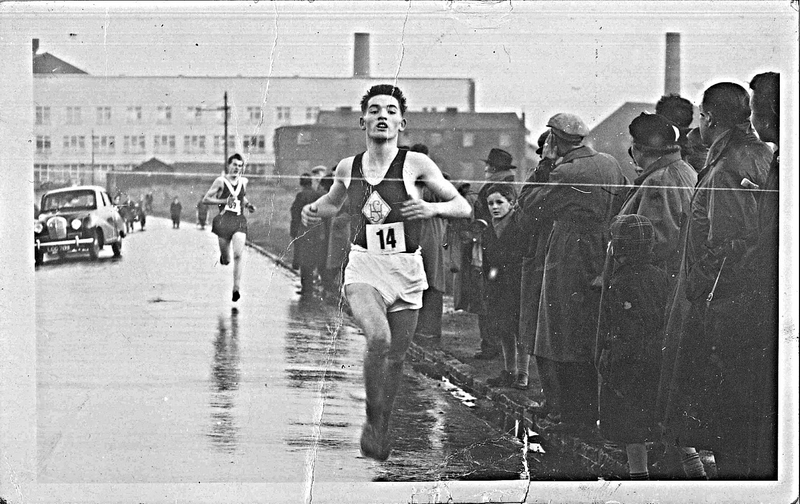 The part he played in the organisation of the Clydesdale Harriers Youth Ballot Team Race when it started up in 1947 was such that the trophy awarded to the winner was named the Johnny Morgan Trophy and it is still in the club’s possession. The picture below is of Eddie Sinclair winning the Johnny Morgan Trophy. At that time he was always very helpful to the younger committee members and Alex Hylan said that he would come before the meetings and ask if he, in whatever capacity, needed any help in preparing for meetings. John also donated the Zetland Trophy for the Ladies Track Championship and named it after the Zetland Estate where his parents worked – the earldom of Zetland was created in 1838 for Laurence Dundas (of Port Dundas fame). 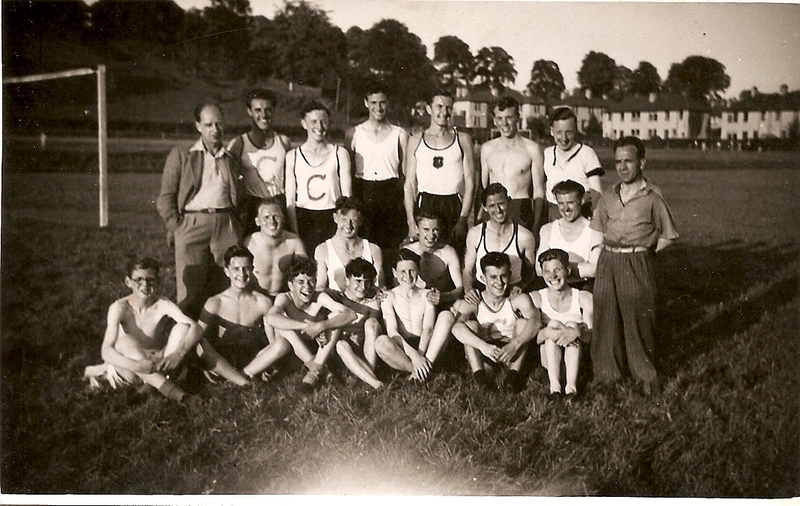 In the mid 1950’s the club had a quite superb Ladies Section with many first class athletes including not only Scottish but also British champions and international athletes. The section was led by Jean Struthers and John was the main coach. Then in the late 1950’s Tom and May Williamson formed a new club to be called Western AAC and it would be based at Kirklee in Glasgow. They attracted girls from all clubs and the effect on several clubs in Glasgow (Springburn Harriers Ladies, Bellahouston Harriers Ladies and Clydesdale for instance) was devastating. When one of the best runners in Bellahouston Harriers joined up with Western, she was asked by her regular training partners in Maryhill Harriers Ladies why she had not joined them if she was leaving Bellahouston. Her reply was that they had never asked her! Virtually all the Clydesdale Ladies left en bloc to join this attempt to form a ‘club of champions’. These outfits keep appearing – Sans Unkles’ and Dunky Wright’s Caledonia AC, the Robson brothers and their Edinburgh/Reebok/Leslie Deans/Mizuno Racing Club and so on – and seldom last long. The damage inflicted on other clubs is at times considerable. John Morgan was so upset that he gave up coaching on the spot and another coach had to be found. He stayed to work for the club at Committee level and as starter and timekeeper at club and county races.